From the backstreets of Lancashire to a Pad Brat on Army Barracks across Europe. From Army wife to abused wife to unfaithful wife. From Mother to Grandmother, with a kidnapping and a dungeon in between! To say Marie has led an eventful life up to now could never be an exaggeration………..but the thing is it’s all true! When Marie and Tina met in the story they just clicked like they had been long-lost mates getting together for a catch up. 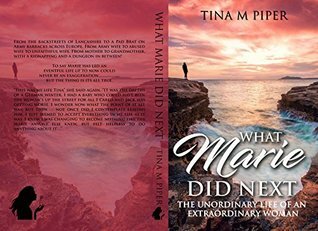 Tina was a successful author and after talking to Marie, with her tell it as it was no holds barred tales, she asks if she can write about her life. So a friendship begins. Such a clever way for an author to tell her own life story. The truth wrapped in a little fiction to fill in what she is really like. Love the idea, so very unique. The banter and interaction between them is of a confident woman finally in control of her own destiny, a woman at peace with herself in present day but it hadn’t always been like that. Tina, in order to get the most accurate account of events, makes tape recordings from Marie’s childhood through to present day. The times when the recordings are not being made are full of humour between the two, it is a brilliant way in which the author injects light relief into what would have been a very intense heavy read. 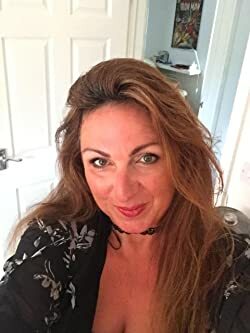 Marie was brought up with the family following her father from base to base in the British army to then go on herself to develop relationships with solders and to eventually marry one. These stories you need to read yourself but do be warned, her life was far from pleasant where she in turn did things in her life that she regretted. It really is an open and honest account of Marie’s life warts and all. This is funny, shocking and totally spellbinding. I really do admire the author for being so brutally honest. The story is well written and although at times I didn’t like Marie I really did root for her. The good news is there is going to be a follow-up too. So I am cringing already wondering just what else Marie can get up to next. She certainly has a bit more about her than Katie! My name is Donna Riseborough and I am 51 years old. I was born in Manchester, England and I am the eldest of 3 children. My dad joined the British army when I was 5. He was in a 600 plus Infantry Regt. We all lived in married quarters together in Germany, Northern Ireland, Warminster and Catterick. Us Pad Brats (army kids) had the best life growing up! When I was 20 I married a Scottish Soldier who was an alcoholic. That was when my nightmare began! I have written my book, ‘What Marie Did Next…..,’ telling my story from birth until now. It has lots of stories in it that will break your heart but also lots of hilarious antics that will have you chuckling! Its been a labor of love, join me on my journey through psychological abuse, heartbreak and finally happiness as i find my true love at last.